Beach Glass - What do you think this is? Found on a beach in Kenosha and have no idea what it is. But a marble fits in nice in the hole. Kenosha is a city and the county seat of Kenosha County in the State of Wisconsin in United States. 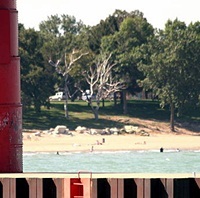 Kenosha is the fourth-largest city on the western shore of Lake Michigan, following Chicago, Milwaukee, and Green Bay. Situated pretty much right where it needs to be for sea glass, Kenosha lies on the southwestern shore of Lake Michigan. 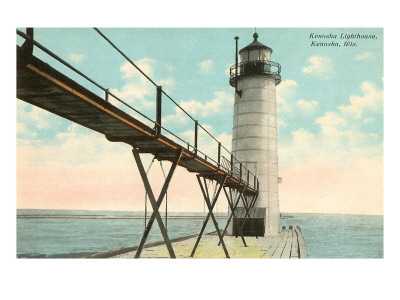 Kenosha is ringed by an emerald necklace of recreational city and county parks, and has eight miles (29 km) of Lake Michigan shoreline frontage, nearly all of which is public. At Lake Front Park, a paved path winds around a playground before it heads towards the lakefront and Kenosha Harbor. Alford Park is a mostly undeveloped shoreline with a parking lot traversed by a paved bike path. Shaded picnic areas are available on the West side of Alford Park Drive. 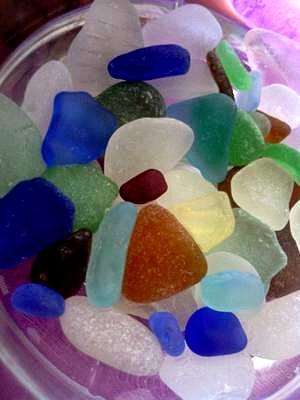 From the boat channel to the top of this beach, a nice variety of sea glass can be found. We've been there twice in the past week. Colors found included pink and various degrees of dark green. Comments for Beach Glass - What do you think this is? 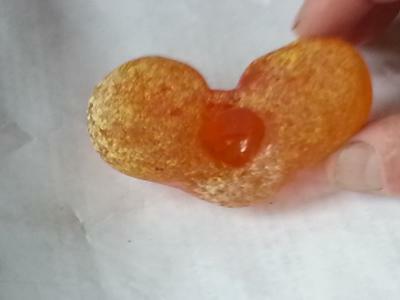 Wow it really looks like the shape of the heart. It is amazing how that marble fits perfectly in that rock piece. 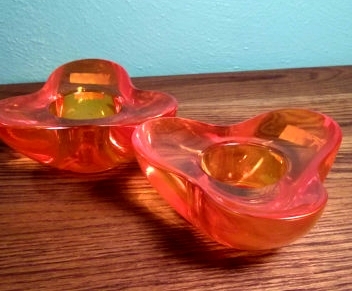 Orange glass Villeroy boch candle holder. My best guess would be a beer bottle thrown into a beach bonfire that melted down and puddled over a small round rock which caused the depression in the center. The excessive pitting looks like it may have been caused by the melted glass bubbling in the ashes of the fire.